It’s hard to believe that July is already coming to an end! The days seem to fly by this summer. We’re getting close to our vacation, and it’s ever harder to keep our minds together and not spend several hours each day, thinking of the beaches, the tryout of new recipes, the serene nights with fresh cold fruit on the veranda in Evia... all those relaxing days one desperately needs after a hard, busy winter season. Just watching the starry sky every night when in the country, right before going to sleep, seems to connect one with body, mind, and spirit, doesn’t it? It’s these magical summer moments when you supercharge with relaxation and happiness that help you endure the hardships of everyday life. We’re indulging ourselves with movie nights in the balcony in Athens and short trips to Athenian beaches for the time being. It helps, but it’s just not the same when you know that on Monday another full working week awaits you, right? 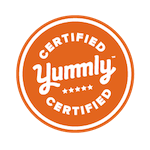 We felt so honored when Denise, from Easy and Delish asked us a few weeks back, to be part of a guest post series on her blog. 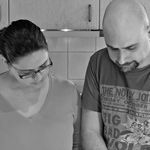 You see, we have been following her work for quite a few years now, from the early days of her previous blog From Brazil to You, where she introduced us to her awesome, authentic and delicious Brazilian recipes! Denise has been an inspiration to us throughout the years and taught us so many things about cooking. For that, all her beautiful posts and her constant love and support, we'd like to take this opportunity and publicly say a huge THANK YOU to her, from the bottom of our hearts. Denise's theme in this guest post series was easy weeknight meals or quick desserts. Most Greek foods often take a little time to prepare, so we considered some of the simpler recipes we could use for this post, and after discussing this with Denise, we both agreed on an easy and yummy appetizer, which can also be served as a light meal, along with a salad and/or some crusty bread. This dish is the Oven Baked Feta! Some people also call this dish Feta saganaki, even though Cheese saganaki is mostly a fried slice of cheese. You can find oven baked feta at almost every tavern in tourist locations throughout the country, especially in the summer. It's one of the most popular dishes, and it's usually one of the dishes people order as an appetizer, or a side in order to accompany grilled meats and tempura-style fried veggies. The ingredients are very easy to find, are very simple, and the result is really delicious. Since the ingredients are only a few though, we suggest you use the best quality you can purchase. For instance, authentic sheep's milk feta is highly recommended as well as organic tomatoes and peppers. 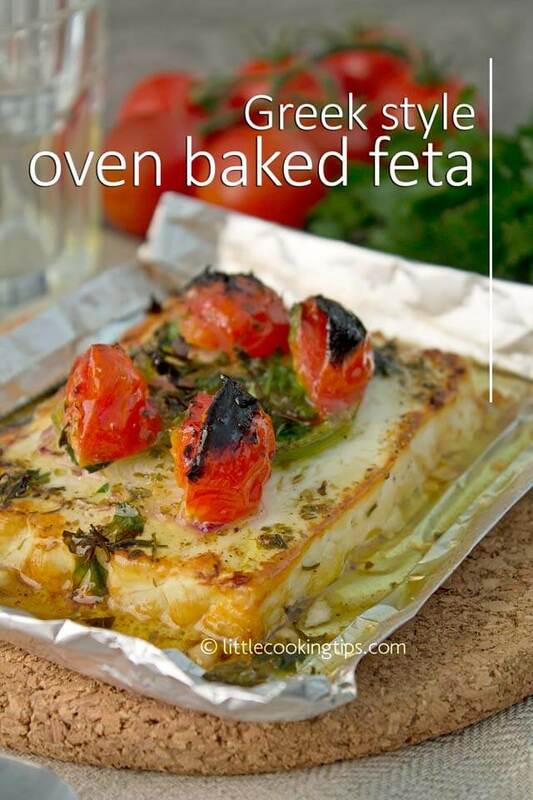 To prepare the dish, you simply make a small "tray" from foil, add feta, onion, tomatoes, pepper, thyme, oregano and EVOO and broil it for a few minutes. The texture of the feta completely changes to slightly crunchy on the outside and soft and yummy on the inside. The veggies and the oregano add a lot of flavor and texture as well. With the quantity described in this recipe, you can serve 2. You can easily, however, make a few more trays of foil with the same combo and serve A LOT more people. This is super convenient if you’re having people over, for a BBQ for instance. While the meat is being grilled outside, you can prep a cookie sheet/baking dish with as many as 6 of these small foil trays and broil them at the same time. It’s guaranteed that everyone will love them; this is one of the best recipes with feta cheese. Click here to jump over to Denise’s Easy and Delicious for the ingredients and the recipe!